We must never underestimate the amazing power of human imagination, the ability to envision a dramatically positive and dynamic future. Every great city, every monument, every historic feat, as it stands for all the world to see, was once pure thought, pure imagination acted upon and brought into reality. To imagine is to dream, to dream is to tune in to the ever amazing possibilities of the future. And when we do dream, it must be big, because to dream small is to totally underestimate the amazing capabilities that lie within each and every one of us. Our own country, Nigeria, from the Atlantic shoreline in the South, through the grasslands of the Middle-Belt, all the way to the rolling hills and bright blue skies of the North, Nigeria is truly a magnificent and blessed country. Yes, we have crude oil, yes, we have natural gas and a wide variety of raw materials, and yes, we have fertile soil that could be cultivated to feed hundreds of millions, but above all, what we have is our humanity, that magical inner spirit that glows from within, that magical inner spirit that makes us an integral and crucial part of the human civilization. And so, we must see ourselves not just as Nigerians, but as members of a global community, sharing constructive ideas, sharing inspirations, and together coming up with solutions for the betterment of humanity worldwide. We as Nigerians must not be afraid of success, but we must face the future with courage, we must individually and collectively focus on progressive opportunities and solutions. Those powerful capabilities that reside within each and everyone of us must be reawakened, and it all starts in the mind, if you can imagine it and clearly see it in your mind then you are half way there, you can then easily strategize, jump into action and bring it to reality. We must not be defined by our current problems, they are not who we are, we are bigger than them, we must be defined by our dreams and inspirations, we must be defined by what we can achieve, we must be defined by a better tomorrow. Nothing is impossible, there are no impossibilities, there is only a better Nigeria to build. How do we recapture the magic that is Nigeria and continue the momentum towards advanced progress? TECHNOLOGY IS THE SOLUTION. it is not the only solution, but it is centre stage to positively impacting multiple facets of the Nigerian human experience. Jelani Aliyu, designer of the Chevrolet (Chevy) Volt, is the current Director General of the Nigerian Automotive Design and Development Council (NADDC), Abuja. Humanity as a group, (Africans and Europeans, Asians and Americans, humanity in its totality) is on the verge of a major philosophical evolution, an evolution that will dramatically and forever change the very pattern of the human experience. This is being brought about by exponential advances in the sciences, arts and technology, leading to a better and deeper understanding of the human mind and how it works, and also leading to the scientific connection between the human thought process and the man made reality that surrounds us. Two significant results of this new way of thinking will be the enhanced relationships within humanity and those between humanity and the environment. Although pockets of misunderstanding will continue, this being inevitable if not natural, overall and fundamentally, people will learn to live with one another better, we will define ourselves more and more by what brings us together as opposed to what sets us apart. We shall see ourselves as all connected, as all coming from one fundamental source and sharing a common space. In respect to the environment, nature will no longer be seen as a force to conquer, but rather, it will be seen as a medium from which to learn, efficiently draw energy from and live in harmony with. And when we do observe nature, we see that we live on a truly magical planet, a gigantic orb of life hurtling through space, every where we look around us, we are surrounded by wonders of our natural world, from the tiny leaf only fractions of a millimetre thick and yet a highly efficient factory to the amazing sea rays that glide within the deep waters of the Atlantic, planet earth is a perfect. balance of beauty and practicality. As an Automotive and Industrial Designer, my job is to come up with solutions to the challenges that people face everyday. I draw upon nature for my designs, to capture that balance of efficiency, beauty and practicality. And I seriously believe this is what we as Nigerians must use as inspiration to move our country forward. Not hard cold technology, but intelligent and creative technology that is in tune with our environment, cultures and histories. In these days of environmental consciousness, sustainability and renewability, who more environmental than the African, who more sustainable than the Nigerian? We must remember our historic roots of closeness to nature and continue to pull our inspiration from it, nature: a magnificent bowl of life full of awe and wonder. As we build and develop our cities and societies, let they be the magnificent manifestations of a people that have inherited and are fully endowed with a great respect for the environment. Let those cities bewilder with a dynamic synergy of modernity and conservation of nature. Imagine our cities being the pride and jewel of modernity while upholding the very core values of our heritage and our respect for the magnificent natural world around us. Taking into account the latest world challenges, developments and intellectual awareness, a deep reflection on where our country stands on the path to development allows us to think alternatively and to see how we can actually use our current position as an advantage. It can be intelligently argued that although some of the reasons our nation is still underdeveloped are less than gallant, there is no doubt that being at the stage we find ourselves gives us the opportunity to be at an exciting beginning with no baggage of superseded technologies, this makes us free to adopt the most applicable and efficient new technology for our unique purposes. That technology that we adopt must be one that is in tune with our culture and environment. A major reason for the failure of a lot of infrastructure and systems in our nation is because they were not fundamentally designed for our applications. It is no surprise that our physical environment is absolutely different from the conceptual birth place of a lot of the technology that finds itself transplanted into our lands. A lot of systems fail in Africa simply because they do not fall within the critical physical and mental patterns that are natural in that environment, not because of an inherent lack of local human support. So, as we progress, it must be with technology that best suits our terrain, climate, psyche and histories. And what better technology than that which builds on what has been in application for centuries. 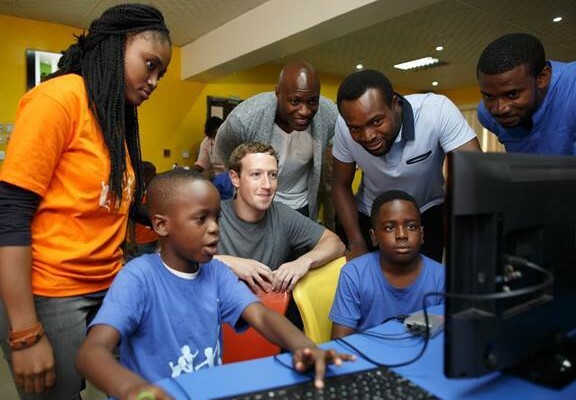 From time immemorial, Africans have had tools, systems and technologies that have assisted them in their daily lives. These technologies had been developed and evolved over time to be most conducive to our people and environment. For example, most of Africa is hot, and historically homes have been built to be comfortable with passive cooling technologies without the need for added energy. 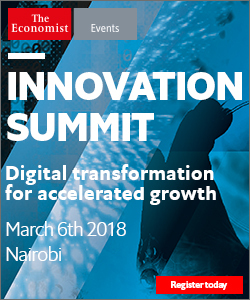 In the last couple of decades we have equated progress with completely disregarding and forgetting a lot of our local and very effective technologies. This is not right, we must not dismiss them, but rather, we must take and merge them with applicable new technology to create a contemporary and yet authentic Nigerian solution. It is an exciting new world, and we must be strong valuable members of it, we must go for the seemingly impossible and make it reality. We must brave new paths with no fear, we must all come together and courageously strive towards the achievement of all that which will positively and most dynamically impact multiple facets of the Nigerian human experience. Jelani Aliyu, MFR, is an automotive/industrial designer and developer, architectural conceptualist. Designer of the Chevrolet (Chevy) Volt, Aliyu is the current Director General of the Nigerian Automotive Design and Development Council (NADDC), Abuja. 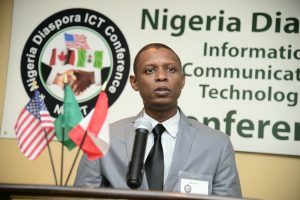 Jelani Aliyu first made this presentation in 2014 at the Nigeria Diaspora Information Communication Technology (NiDICT) Conference in Detroit, USA with the theme: “Harnessing Diaspora and Local Linkages for Economic Growth.” The NiDICT is an annual international platform for engagement of Nigerian ICT skill-pool in Diaspora for advancement and transformation of Nigeria. 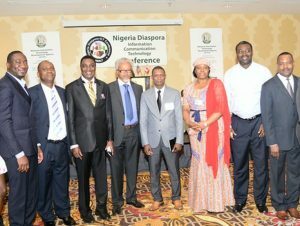 NiDICT is supported by high stakeholders that include the Nigerian Foreign Missions: High Commission of Nigeria in Canada; Embassy of Nigeria, United States of America, National Information Technology Development Agency (NITDA), and Nigeria Computer Society (NCS). 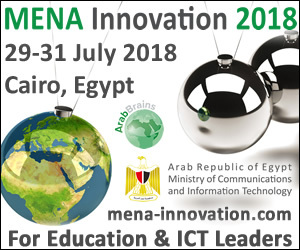 The platform promoted by Pinnacle International LLC (USA) and Knowhow Media International (Nig).